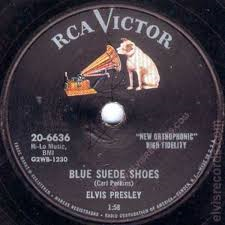 I still remember when I was 10 years old and excitedly told my grandmother that I had bought my first 45 (rpm record), Blue Suede Shoes by Elvis Presley. I was 10; she was 75. She not only didn’t seem to respond to my excitement, she didn’t know who Elvis Presley was! How could that be? I was beyond incredulous (although at the time I probably wouldn’t have known the word ‘incredulous’). Now my husband and I just smile at each other when confronted with ‘cultural’ references to popular music, having no idea who the artists are. Now I can see things from my grandmother’s perspective. What’s important at one stage of life isn’t necessarily important at another. I remember once years ago when a young adult in our extended family was going through a huge upset in life and my mother-in-law, the grandmother of this young adult, said that she wished there was something – anything – that she could do to make things better for her adult grandchild. She knew there wasn’t, except to be there to offer support, but she went on to say, “I feel so helpless. Things were so much easier when I was young.” This was from someone who was born in 1906. Few people had electricity. There was no penicillin. Cars were just starting to join horses as a means of transportation. Nobody traveled far. She lived through WWI, and raised a family through the Great Depression and WWII. Yet she thought things were easier when she was young. I think she meant less complicated, at least in her view. She was viewing the world of the 1990s from a different perspective than the younger folk of the time. The worldview we form when we’re growing up is the one we’re most comfortable with. We understand the rules of that time, those norms. We learn to work within them, to survive and hopefully thrive within them. One worldview is not necessarily easier than the other, but it’s the lens through which we understand the world. Some things never change, and advice in those spheres is worth offering regardless of age. The kinds of things mentioned in the George H.W. Bush eulogies today fall in that category. Remembering to be kind. To live with decency, courage, perseverance, and humility. And with good humour. These attributes are ones most of us know deep down are how to live a good life, but often fall short on. Being reminded from time to time is a good thing. It helps us remember not to be too quick to judge. It helps us remember to reach out to others with encouragement, with a helping hand, and with praise. It helps us be part of making the world in which we live a better place. Acting with these attributes in mind makes us better friends, better partners and parents, better colleagues, better community members, and better leaders. Some things do change with changing times, and advice from one generation to another in these circumstances is not always totally relevant. It is also often not welcome! 😉 Of course, that doesn’t mean we aren’t ready to offer it, but maybe we should just let younger generations learn from their own successes and their own mistakes, just like we did. It takes longer, and it can be a lot more painful than being rescued before you make a mistake, but being rescued before you know you need rescuing isn’t necessarily going to keep you from trying again. The world in which we find ourselves right now is busier than it needs to be, for no real apparent reason. People are also far more stressed than they used to be, including children, again for no truly apparent reason. Most people would ascribe a lot of this to technology, meaning 24/7 access to the Internet, news, and social media. Interesting, when one remembers that this amazing technology that we have developed ourselves – to serve us – has in many ways ended up controlling our lives. This technology, which was supposed to make the work week shorter and leisure time longer, has produced quite the opposite effect. Many of us are now working pretty well 24/7, technology-enabled. This technology, which was expected by many of the early developers to help level the economic playing field with a slowly but surely changing nature of work, has done no such thing. None of this can be blamed on the technology, after all, we created it! However, for young people whose worldview is being molded and defined within this remarkable yet stress-inducing technology-based world, where everything is available to us all at the touch of our “phones”, their perspective is necessarily going to be different from those of us who came of age in a pre-Internet time. 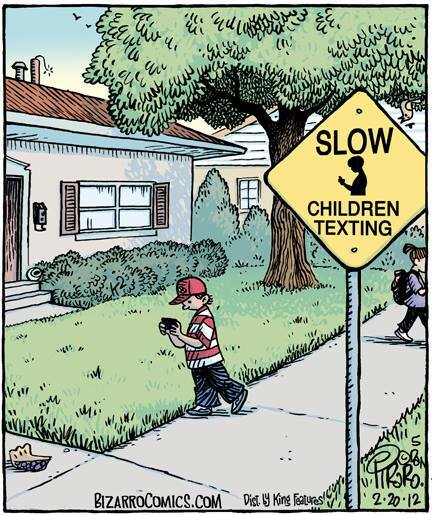 I love the people I interact with – of all ages – and I certainly use today’s technology to full advantage (although probably for different uses than my grandchildren!). However, I can’t be offering them much advice that they’re going to relate to. They’ll just figure out life’s lessons for themselves, sometimes making mistakes and learning the hard way. I’ll stick with the advice that we’ve learned today from George H.W. Bush’s funeral: lead your life with kindness, decency, courage, perseverance, and humility. Other than that, I’ll try to mind my own business. I’ll try, really I will! This entry was posted in Leadership, Life stories and tagged advice, aging, compassion, courage, decency, family, George HW Bush funeral, getting old, history, humility, inspiration, kindness, perseverance, stress, stress in workplace, stress in youth, technology, worldview. Bookmark the permalink. I love giving advice and across generations is no exception. I like to think I offer suggestions in disguise. As for technology causing stress, perhaps our generation felt that about available long distance calling … my mom considered it a harbinger of bad news (as bad news was mainly what long-distance was used for). I think our problem is always ‘balance’ …. dividing our time effectively and leaving some for relaxation. I love social media and by managing time spent there I continue to think of it as a positive in our lives. Applause for this Jane. The only caveat I would add is that I wonder if our generation – who will be leaving the world in a worse state than when we joined it – are qualified to give advice. Good advice for us “older” folks, thanks Jane. “Lead your life with kindness, decency, courage, perseverance, and humility.” That’s pretty good advice! Thanks, Brendan. I’m sure your grandfather continued to give you advice for as long as he could. The really nice part is that you heard him and recognized it as good advice! In many ways what you wrote was so very accurate. I understand exactly how you feel. As we grow older you wonder if anybody is really listening. But, I personally think you certainly CAN give advice. You just have to decide to whom you want to select to receive it. Perhaps it is because I taught school for 36 years and saw generations of children pass through my doors, that I have a different view and think we can give advice as long as have some to share. I think that more than likely, the longer we live, the more we have to say and the better our advice is to give. However, often times young people THINK older folks are clueless. And truth be told we may indeed be out of the loop when it comes to certain things. For instance this year I decided to ask my grandchildren what they wanted for Chanukah and Christmas. (In the past I knew what they wanted.They were little, so it was easy.) We looked on line together so I knew what they were talking about. Now keep in mind the children are in 2nd and 3rd grade. My grandson is now into Megladons (Prehistoric sharks) and my grand daughter loves something called LOL collectable dolls. I NEVER would have picked those items! So they gave me advice! But, if they are doing homework and have a question they can ask for my advice. My oldest grand daughter is in college this year. Before she left she wanted to talk because she was confused about which school to choose. We talked about boys, majors, schools. And that was lovely. BUT, in the past when I gave my input to my oldest son who is 45, he thought my ideas were fabulous. Before he was a parent he would look at me as if my ideas were all way out of date. BUT… my younger son who was a 40th birthday surprise, just turned 30. He LOVES to hear my advice. He calls me all the time and asks for it. So I have one child who thinks I have the wisdom of the sages and the other who thinks I am back at Woodstock listening to Jimi Hendrix. LOL I think there are some young people who think seniors are clueless and others who are wise enough to see that we older folks have the wisdom that comes with age. Our parents and grandparents also didn’t take the time to “get into our head” or try to change with the times. We are more flexible. I happen to love technology. And so when my grandkids are telling me about some weird character on TV or in a book that I don’t know, I just pretend I am fascinated and ask them to tell me everything about it. Soon I am right there with them and can relate. I think it takes two… young people have to learn to listen and understand that we do have experience and while we may have lived at a different time, we still had challenges growing up. And older people have to open their hearts and minds to the current world to see what challenges face youngsters now. In regards to President Bush. It was indeed a sad event and I too felt a heavy heart wondering if we, as a nation, can ever go back and reach that grace and respect again. I hope we can. The current President is not a kid. He is older than I am. He just never learned manners or developed character. I think there are plenty of young people out there with character and kindness. My father was from that WWII generation and yes they did indeed have something we rarely witness today. But, I like to think that I see the same sense of purpose and community service in my two sons. Both were taught to give back to their community. One son works for a non profit organization and they deliver toys to a children’s hospital in Miami every year. So my oldest son dresses up as Santa and his wife and oldest daughter, along with other members of his staff, go as elves and deliver gifts to the terminally ill children. For some children it will be their last Christmas. There is still much goodness in this world. I’d like to think it was my advice that led this son in his community involvement. So PLEASE continue to give your advice. You are NEVER too old. Your beautifully written blog proves you have so much to offer. Thank you for sharing. Lesley, thank you so much for all of these insightful reflections. You’ve written a whole blog post; you should get credit for it. We have similar family experiences! I also agree that there are many, many young men and women out there with those same important attributes, including my family members and friends, former colleagues, and my wonderful former students. As long as they lead by example we should be fine, and I won’t need to give my showing-my-age advice! Oh but please keep giving that advice! Let those young whipper snappers know that wisdom does grow with age! You’ve got a lot to give. Don’t stop. Or at least write it in a blog so we can enjoy reading it!